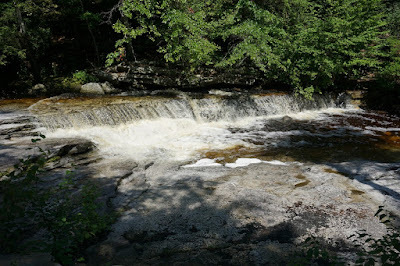 The end of July and early August had been very wet and rainy. 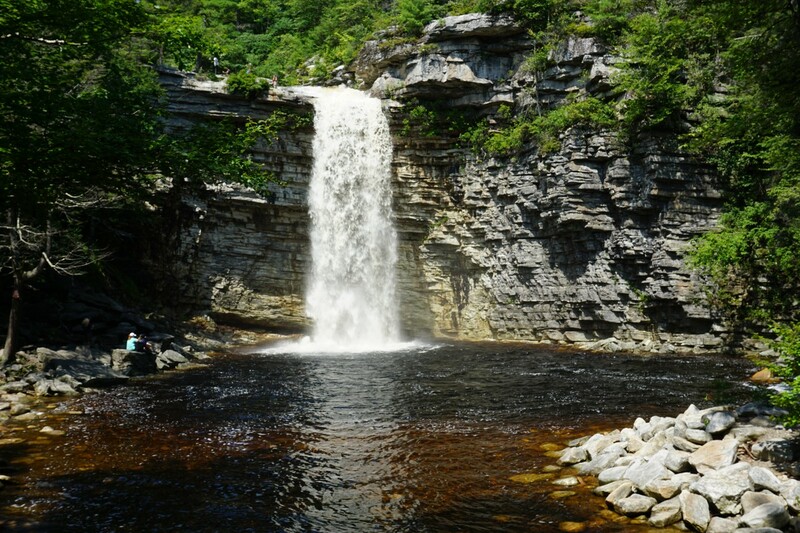 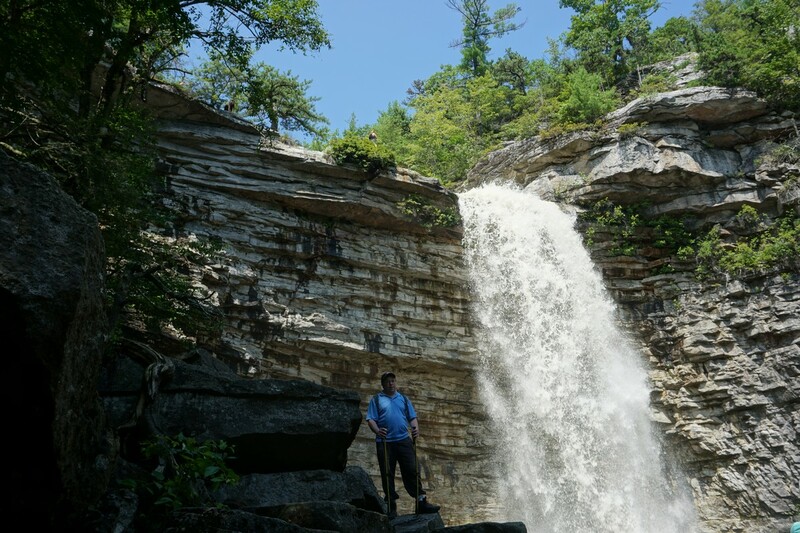 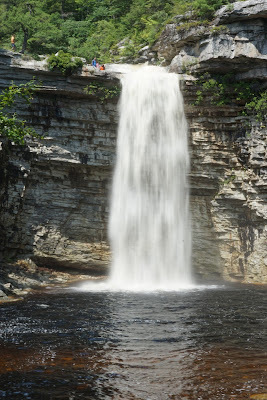 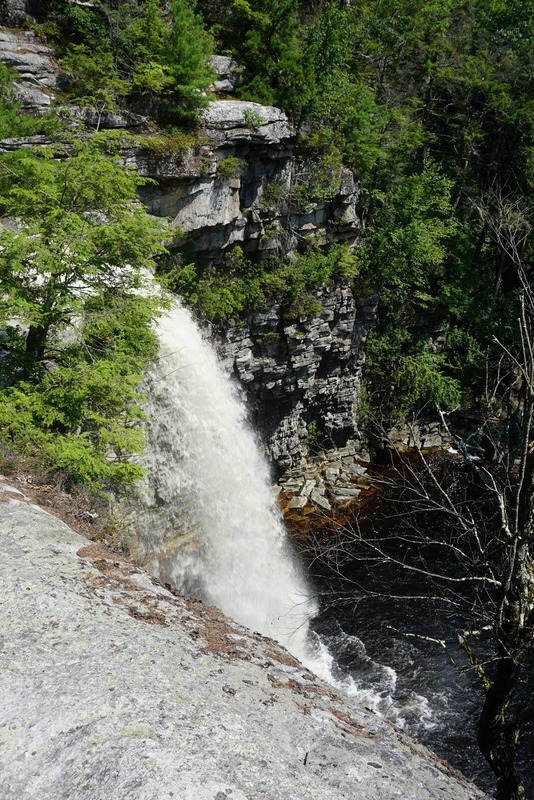 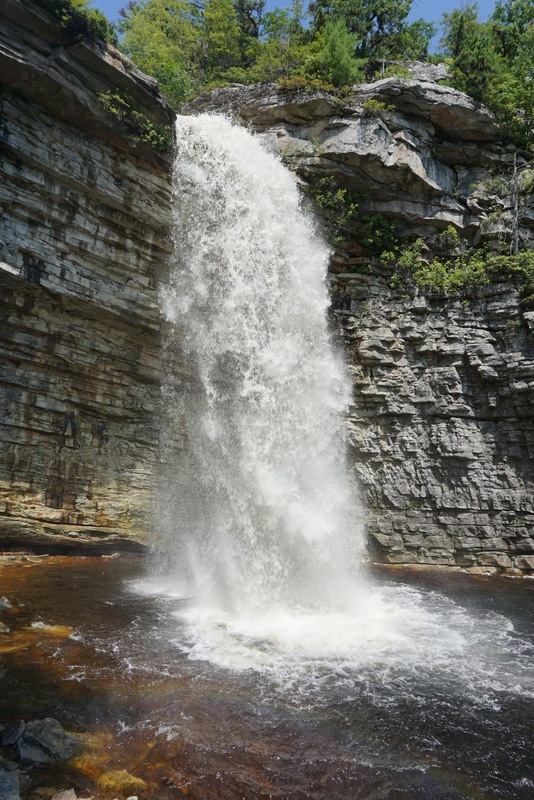 I decided to take the opportunity to visit two of the prominent waterfalls in the Shawangunk Mountains, on two separate short hikes. 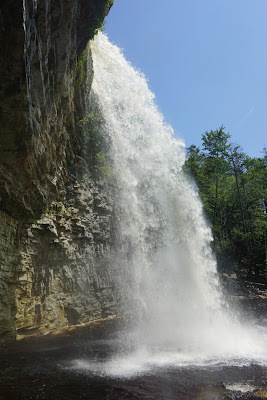 Our first hike was to Awosting Falls. 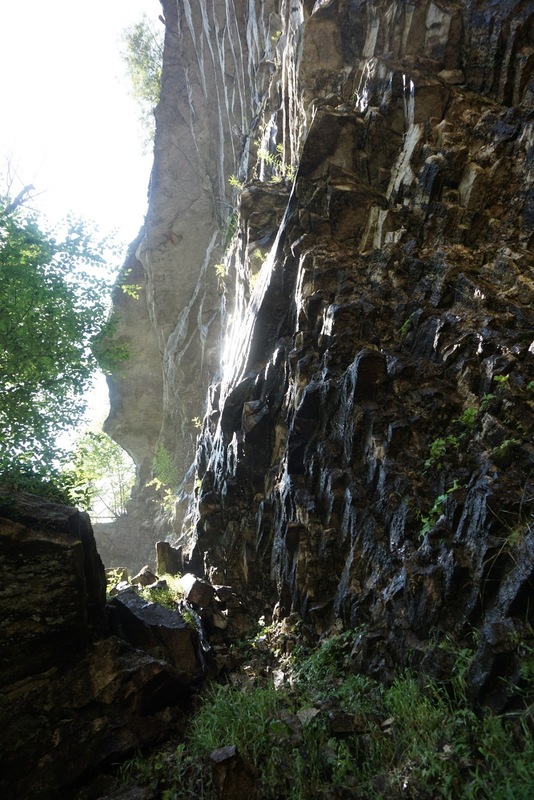 This is a very short hike along an easy carriage road, to a very scenic waterfall that drops 60 feet of a hanging cliff creating dramatic scenery with the white conglomerate rock as its backdrop. The water level was indeed impressive, and the scenery was great. 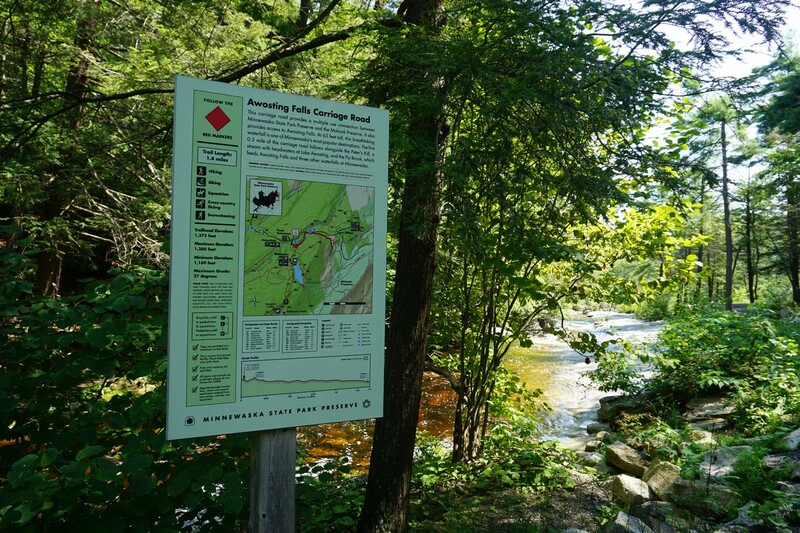 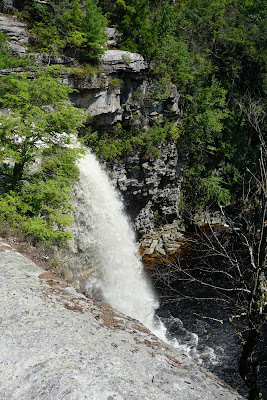 We had parked at the lower parking area at the main entrance of Minnewaska State Park, and took the Awosting carriageway the short distance to the falls. We got there early so the parking lot still had plenty of space (it fills up quickly on busy summer weekends.) Although there were other people at the falls, since it was still early, the crowds were still light. 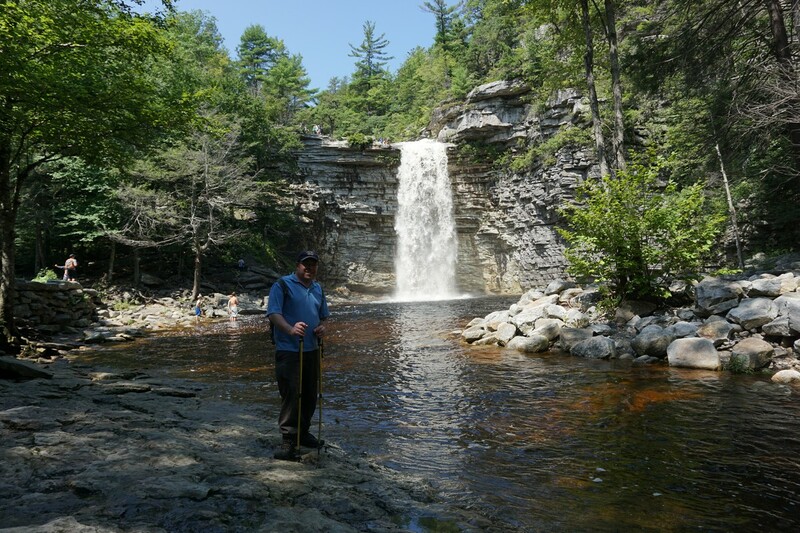 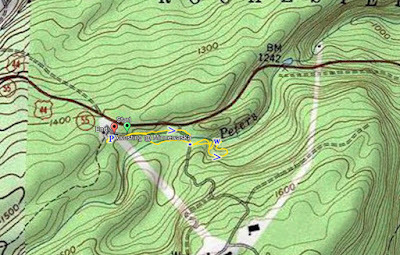 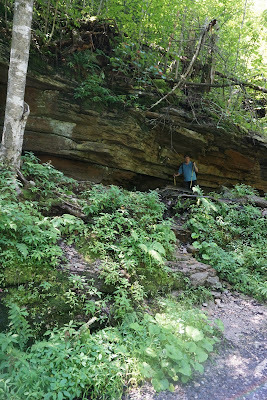 I climbed up the the side on a switchback route taking a shortcut past the loop on the carriageway going up, and then we took the carriageway back to the car, and proceeded to drive to our next destination, the Stony Kill Falls, which I'll provide details on in my next post.